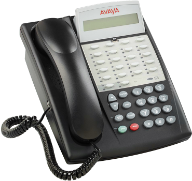 Advanced Communications Solutions is a full service telecommunications company providing sales, service, and installation of business telephone systems and related telecommunication products. We are a locally owned and operated company who have been serving the Pittsburgh marketplace and the surrounding Pennsylvania/Ohio/West Virginia tri-state area for more than 15 years. Our reputation has been built on our ability to provide complete business communications solutions along with outstanding customer service and support. Our equipment offerings are from leading manufacturers that have a proven track record of providing state-of-the-art equipment that is some of the most dependable and durable equipment on the market today. If you would like to schedule a no cost / no obligation appointment to see how a new telephone system or new communications technology may benefit your company, please contact our office to schedule an appointment. We look forward to hearing from you!